The Fourth Industrial Revolution has opened up new frontiers for various industry sectors globally. One of this is the Creative Industry. The Arankada Philippines Project hosted a fora last November 27, 2018, at the Fairmont Hotel in Makati City. This is to highlight the potential of the Creative Industry for the country. The theme is Creative Industries: The Next Sunrise Industry. It aims to bring empowerment to the Philippine Creative Industry that will harness the current creative industry sectors and talents in the country so as to serve as an engine of economic growth for the country. Arankada Philippines Project’s objectives are to enhance the viability of Philippine industry sectors ranging from agriculture, technology and all the way to mining through its advocacies and active participation in these sectors and by coordinating with the government, the private sector, and international key industry players. For the Philippine Creative Industry sector, three (3) critical factors have been identified and subjected to sessions and panel discussions. It was emphasized early in the sessions that in the year 2013, the creative industry worldwide generated US$2.3 billion in earnings. And the Philippines has yet to tap into its own creative industry sector talent pool to participate in this growing industry sector. It was noted that there are many aspects in managing the creative industry sector that has yet to be undertaken. An example of this is what Mr. Paolo Mercado, Founder and President of the Creative Economy Council of the Philippines (CECP) stated that the country has 1.2 million freelancers I the creative industry sector alone. This is more than the entire BPO industry currently employs. Thus, the potential of this freelance sector alone is in need of organizing and is one of the sub-sectors that need to be harnessed for the creative industry nationally. But this sector also needs proper management and with the talents abounding in the country, these raw talents need further development so as to attain the next level In being able to compete globally. It was also noted that creative industries are varied and wide in scope, ranging from designing furniture, game development, architecture, animation, film, literature, and software development. In the US for example, Silicon Valley has gained pre-eminence in software and hardware development. It is an example of a Creative Hub. Such a Creative Hub is also needed in the Philippines wherein the clustering of inter-related industries are undertaken so as to foster a culture of competition and innovation. These are the main points of the Arangkada Philippines 2018 Fora and the task is laid out in order to achieve a globally competitive Philippine Creative Industry sector. The fora were participated in by the DICT, DTI, members of the academe, industry sector leaders, and by the Joint Foreign Chambers of Commerce. 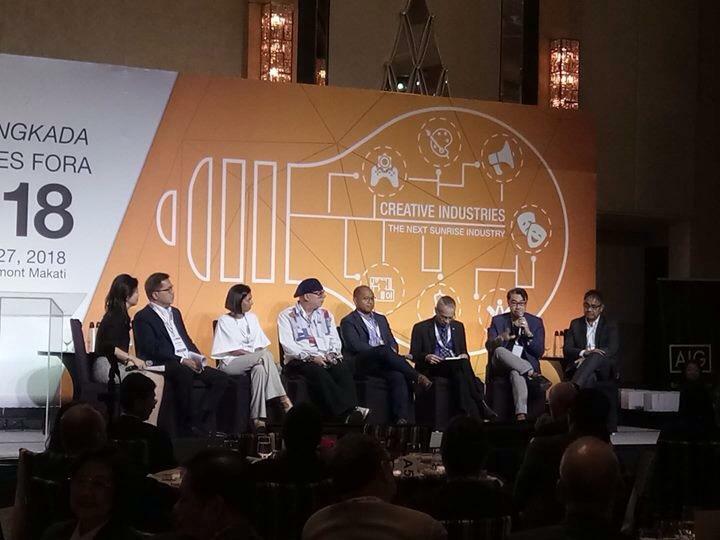 Philippine Creative Industry: Whats Next? Aikontech brings Beltone to the Philippines.